How one FSO used constructive dissent to advance a sensible approach to air pollution in India. 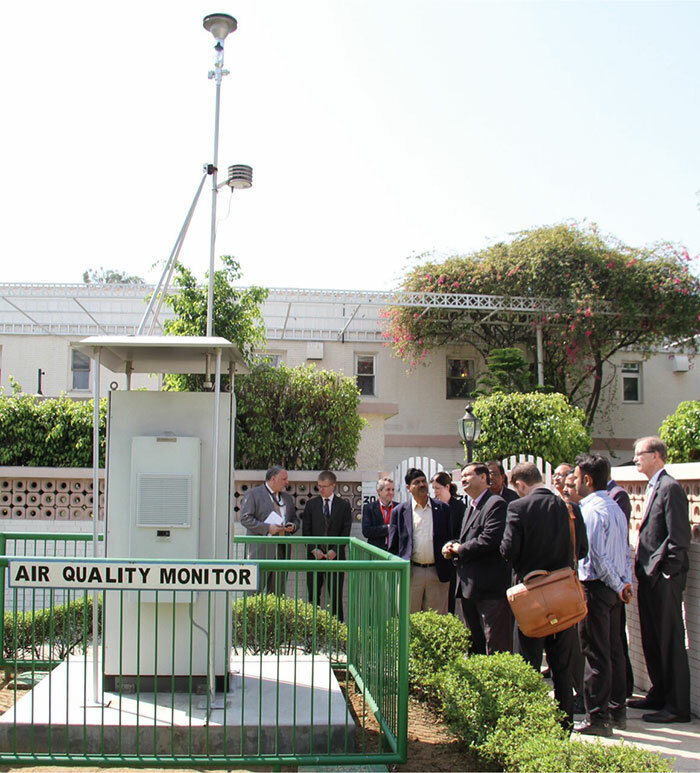 Samuel Kotis (far left) shows Embassy New Delhi’s air quality monitor to U.S. Environmental Protection Agency and Indian government air quality experts during the EPA team's March 3-7 visit to New Delhi. The EPA visit was a direct follow-up to President Barack Obama’s January trip to India in which he and Indian Prime Minister Narendra Modi agreed to cooperate on air quality. As members of the Foreign Service, we face an inherent tension between the obligation to provide our best analysis and advice in the policymaking process, and our recognition that there will be many times in our careers when we will be asked to carry out policies and actions with which we may personally disagree. Embedded in that tension are endless variations on how, and to what degree, we should offer a dissenting view, how far to push that dissent, when to accept “defeat” and—conversely—when to push on in the face of objections from those further up the decision-making food chain and press for a change of approach. For any individual, how that tension plays out depends on a host of different factors ranging from personal relations with colleagues and supervisors and the frankness with which you feel you can convey your views, to the importance you attach to getting a policy right. Looking back on the past two years of my work in New Delhi, it has been very satisfying to see the U.S. policy approach I advocated on air pollution move from one of dissent to one of high-level support and action. I have drawn some lessons from this experience. If you feel you are right on principle, stand up for your view, listen to those who don’t agree, find ways to address their concerns, build alliances with those who are likeminded, make sure the facts are on your side and choose your timing wisely. 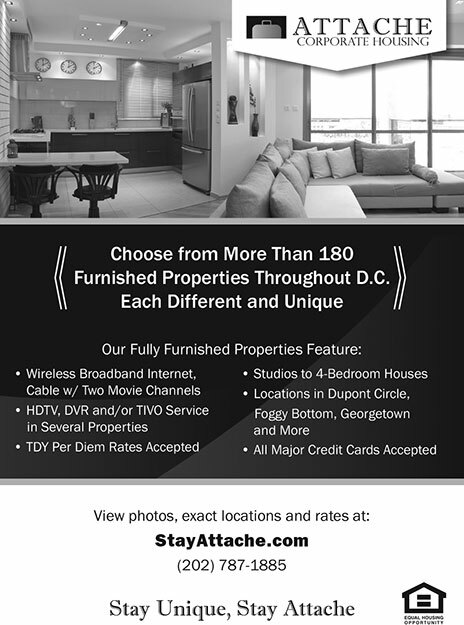 When all those pieces come together, you really can make a difference. One of the major daily papers started an air pollution box that included Embassy New Delhi data every day, and the level of discussion among Indians and expats alike continued to rise. As anyone who has flown into New Delhi will tell you, one of the first things you notice as you land is a thick cover of smog that envelops the city most days. Those first impressions provide an initial inkling of the scale of New Delhi’s—and, more broadly, India’s—air pollution problem. Thanks to extensive coverage over the past year by the New York Times, other international media outlets and, increasingly, the Indian media; sobering reports from the World Health Organization and other bodies; and an expanding body of research by scientists from a host of eminent universities, we now know that Indian cities suffer from some of the worst levels of air pollution ever recorded. WHO’s Global Burden of Disease 2010 study, released in 2012 and considered the gold standard in global epidemiology, estimated that air pollution is the fifth greatest risk factor for premature death in India, claiming more than 630,000 lives each year. When I arrived in New Delhi with my family in August 2013 to start our assignment, the U.S. mission—thanks to the hard work of those who had preceded me at post—had already installed five EPA-standard air quality monitors (AQM) at our embassy in New Delhi and at the four U.S. consulates in Mumbai, Kolkata, Chennai and Hyderabad. New Delhi’s bad air was already an increasingly distressing issue for many in the embassy community, as well as for many Indians. The AQM readings, updated hourly, were available to all mission personnel on our intranet system and to family members through a password-protected weblink. The data was disturbing, but I was glad to have it so that my family and I could know the levels of pollution we were experiencing. What’s more, the data was available in an easy-to-understand format keyed to the EPA’s Air Quality Index and accompanied by EPA-approved health guidance for various levels of pollution. 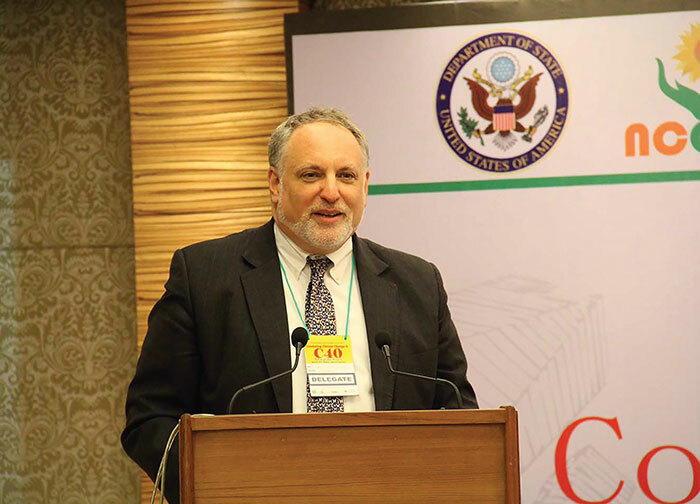 Samuel Kotis gives a speech, “The Health and Climate Change Co-Benefits of Action on Air Pollution,” at the International Symposium on Combating Climate Change in C40 Mega Cities on Earth Day, April 22, in Kolkata. The conference was organized by U.S. Consulate General Kolkata in collaboration with Kennesaw State University, the South Asian Forum for Environment and India’s National Council on Climate Change and Sustainable Development. From the start, I was told that senior leadership was opposed to publicizing our air quality data, and that that position was very unlikely to change. I wanted to understand why. The opposition was based on two assumptions: (1) official Indian government air pollution data was already available for anyone who was interested, and thus there was no need to publicize ours; and (2) it is best not to do anything that might generate a negative backlash, as calling attention to India’s air pollution might do. While the first point was technically true—Indian government AQM data was indeed available online—that data was not easy to find, nor easy to understand, nor always accessible (for example, the system frequently went offline for extended periods of time without explanation). The difficulty in locating and understanding the Indian official data alone was sufficient reason for the U.S. mission to change our position and publish our data. It just did not seem right that my family should have access to clear, understandable, reliable U.S.-generated air pollution data while all others did not. As for the second assumption: in fact, whether intended or not, our continued public silence about India’s very unhealthy air pollution levels sent a message that this was not an important problem worthy of Mission India’s effort. In the first few months of my time here, I had met many Indians who felt strongly that air pollution was an increasingly pressing issue that needed more attention. They acknowledged that they were fighting a steep uphill battle to get others to care about it. As I discussed these issues with them, I became increasingly convinced that, in addition to our obligations to other Americans, making our data public would send a subtle but important signal of support to those within Indian society trying to address the problem. I was told that publishing our data widely was not appropriate and could cause damage to our bilateral relationship. I hoped that making the data public could help move the issue forward in our bilateral relationship and in India’s domestic political discourse, as well. A small, core group of likeminded colleagues in the embassy and in Washington agreed, and we began to coalesce and brainstorm. My initial efforts to make progress on this issue were not encouraging. I was told that publishing our data widely was not appropriate and could cause damage to our bilateral relationship. My view was that air pollution was an issue that would only get more important over time. Furthermore, upholding our values of transparency and honesty would serve the U.S.-India relationship best in the long run. Between February and May 2014, several things happened that ultimately helped change the nature of the debate. First, a conference was convened in New Delhi of officials and academics from India and California involved with the India-California Air Pollution Mitigation Program, an initiative that offered practical, actionable recommendations on ways to improve air quality in an affordable and technically feasible manner. California’s experience offered a compelling, positive story of how an American state had overcome significant environmental challenges and had simultaneously grown its economy substantially. It was a story I felt would resonate in India, and it was something I began to stress in discussions on the issue. Deciding when, how or whether to offer constructive dissent on an issue is a personal decision dependent on the specifics of a given situation. Second, a few of us at the embassy met with the Lawrence Berkeley National Labs scientist Dr. Josh Apte, who had been doing research on New Delhi’s air pollution for several years. Apte’s slide presentation was a concise, powerful, easily digestible summation of the factors contributing to New Delhi’s bad air, the health impact it was having on the population, the importance of raising public awareness of the problem and the steps that could be implemented to begin making a difference. Those of us in that first meeting were so impressed that we proposed that he give his presentation to the ambassador and country team. A few weeks later, Dr. Apte did just that, and its impact was critical. In a short span of time, Ambassador Nancy J. Powell became a supporter of publishing our data, often referring to Apte’s briefing as a turning point in her own thinking on the importance of acting on air pollution and how it could fit into our diplomatic engagement with India. Third, in May WHO released its list of cities suffering high air pollution levels, and New Delhi was identified as the worst in its 1,600-city worldwide database. In June 2014, with the Indian elections behind us, the WHO designation of New Delhi as the most polluted city in the world, and a positive narrative based on the California experience to shape our efforts, all of our senior leadership agreed to make our AQM data available on our public website. While the initial reaction was subdued (June is a “low” pollution month in New Delhi), air pollution levels spiked in the city by the fall, and the Indian media began to report regularly on the embassy’s public numbers, which quickly became a trusted source of reliable information. During the following months, Indian news channels devoted substantial coverage to India’s bad air. One of the major daily papers started an air pollution box that included Embassy New Delhi data every day, and the level of discussion among Indians and expats alike continued to rise. Air pollution is the fifth greatest risk factor for premature death in India, claiming more than 630,000 lives each year. President Barack Obama and Prime Minister Narendra Modi included cooperation on air pollution in their January 2015 Joint Statement during the president’s visit to New Delhi. And, on Feb. 18, Secretary of State John Kerry and EPA Administrator Gina McCarthy signed a State-EPA Joint Agreement to Enhance Post Air Quality Monitoring and Action Overseas globally. As noted at the outset, deciding when, how or whether to offer constructive dissent on an issue is a personal decision dependent on the specifics of a given situation. For me, challenging the prevailing status quo on air pollution data sharing was something I felt was important to do and could succeed if we kept at it and addressed the bases of concern. Seeing the needle move on policy—and, more generally, seeing public awareness of the issue grow—as a result of our work has been among the most satisfying experiences of my Foreign Service career. It is something I am very glad to have done, and I believe I have emerged as a stronger, better officer as a result. Samuel Kotis just concluded an assignment as deputy minister counselor in the economic, environment, science and technology affairs section in New Delhi. 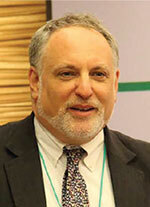 He is headed to the U.S. Mission to the International Civil Aviation Organization in Montreal next. Since joining the Foreign Service in 1991, he has also served in Jakarta, Singapore, Tunis, Amman, Budapest, Baghdad and London. He and his wife, Beth, have two children. He is the recipient of AFSA’s 2015 William R. Rivkin Award for Constructive Dissent by a mid-level FSO.